If working with a local professional who is committed to client service and developing long-term relationships sounds like what you're looking for in a financial advisor, take a step in the right direction and call. There is never any charge for an initial consultation. 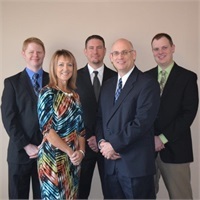 When you work with Boyer and Sappenfield, you've chosen investment professionals who are dedicated to serving Central Illinois. Their specific qualifications are listed below.